About: Located just north of historic Fifth Ward, this is one of our newest properties. Excuse our mess as we upgrade the units and the building. 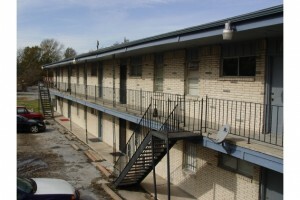 This is a great chance to rent a large, newly upgraded unit, for as low as $400/month. To get our limited time $400/month price, we require potential tenants apply in advance on our tenant site and have a full months rent deposit. You’re only charged the application fee if approved and the application will work for any of our properties (300+ units) if this one isn’t a fit.